I clearly remember my second trip to FanØ, Denmark, when, as I was driving down the beach, I spotted “my” attic-window Edo flying in a sky crowded with kites. I did a double-take, because I still owned that kite. What I finally realized, was that someone had made an almost-exact copy of my Edo and was flying it proudly. At the time, I took it as a complement – someone took the time and effort to make my kite – but upon further reflection, I thought, “why?” Why would someone put all that effort into copying an existing kite instead of making something original? 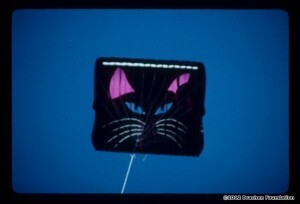 As a “hobbyist” kite maker, there is no money out of my pocket when one of my kites is copied like this one was. But what about the professional kite maker? If an individual makes a copy of a professional’s kite, he is in no way complementing the original, instead, he is stealing sales from the originator and devaluing the original product. 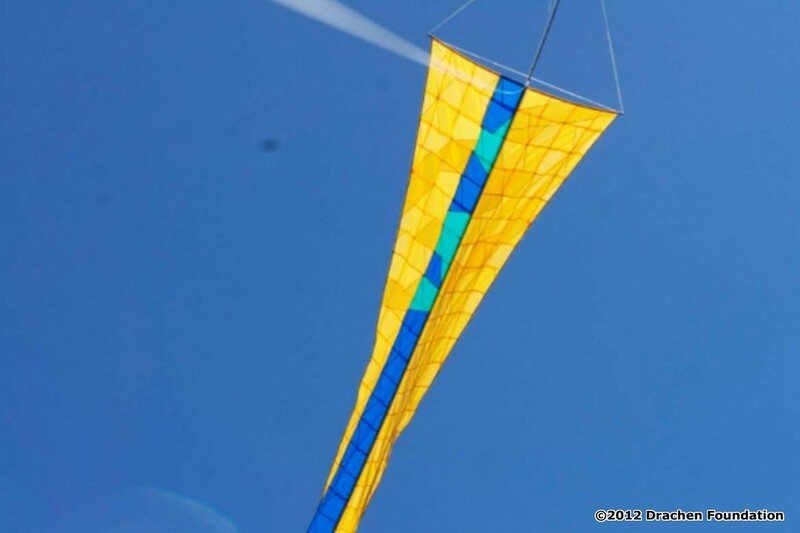 In today’s kite flying and making environment, there is a wealth of information – from high-quality photos to shared sketches to published plans which potentially make it easier to replicate original kites. There is no doubt that the vast majority in the kite community would be more than willing to share information. 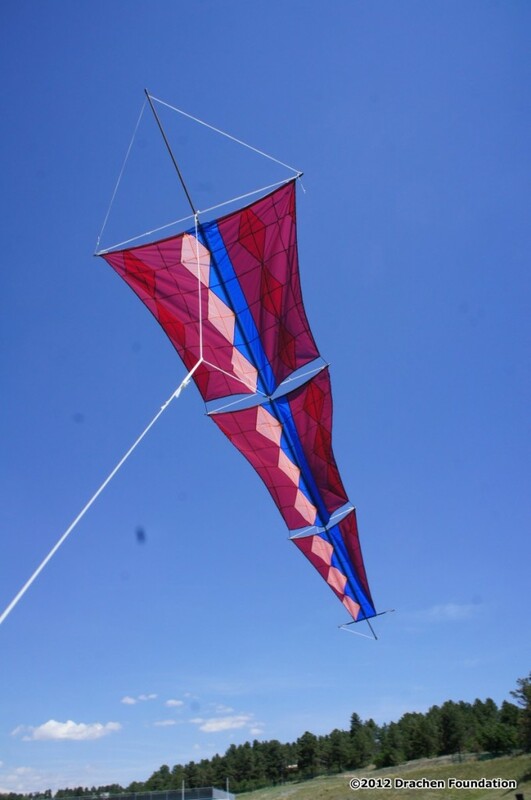 Mega-kite maker Peter Lynn, for instance, has always been willing to share plans to his creations – he simply asks that he be given proper credit and that the plans are not used to create kites for sale. There are plenty of examples of kite makers whose work could easily be copied – Karl Longbottom and his wonderful fighters comes to mind. And, certainly, if Karl presents a workshop and shares his plans, he knows that those kites will be produced in small quantities by the participants. But if someone takes a snapshot of one of Karl’s kites and then produces even one copy, I don’t think that can be justified. That person has stolen the design ideas, Karl’s artistic vision and proceeds from a possible sale. In today’s communication and social media environment, I believe that making the effort to contact Karl and asking him if a copy could be made, would be easy and would go a long way toward keeping the situation from occurring. If Karl says, “no, please don’t make that kite,” then it’s time to make something else. If he says, “no problem, make one for your personal use,” at least he has the option to make that decision. 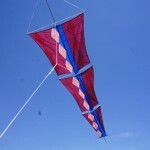 The real problem is in all the “grey” areas we find in kite design. 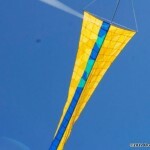 How many parafoil, or sport kite designs exist in the market place? Which ones are “original” designs, which ones are openly shared and which ones can be made by the hobbyist without apology? (As an aside, I’ve always avoided the issue here by collaborating with parafoil makers. I don’t really want to spend the time learning everything there is to know about parafoil design. Instead, I have made a number of collaborative foils with Ed and Bonnie Wright and one with dean jordan). Again, in today’s communication environment, I’d wager that if there is a question about a kite design, an open question posted via email, Facebook, or within any group of kite flyers would result in a speedy and accurate answer to the question of design credit. Additionally, as a consumer and enthusiast, I think it’s important to realize what is not original and, therefore available to being interpreted. A Japanese Edo or rokkaku, an American Eddy or barndoor, and a Malaysian wau bulan can, in my opinion, be made by anyone at anytime. These are generic forms that can be individually interpreted by any builder. In many cases, variations of these are made and marketed – I’ll use my friend Ron Gibian as an example here. Several of Ron’s marketed kites are clever variations of generic forms and, as such, I don’t think they are “off limits” for use by anyone. But, common courtesy would dictate that you’d ask Ron before you make one of these, and, hopefully you would produce something original of your own design. Years ago, Ron, Jose Sainz, and I used a German light wind design to make three unique kites of the same design, asking permission from the designer before production. 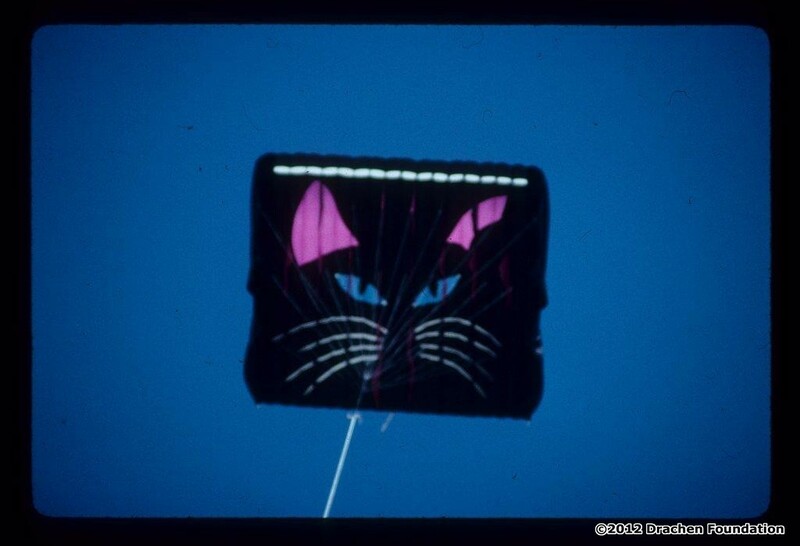 In today’s information-rich environment it is relatively easy to find the origins of any kite design. By using original plans with permission, questions of copyright and credit will be avoided and we will fill the skies with more original creations. This entry was posted in Drachen and tagged copyright, featured, plagiarism, Pointer.